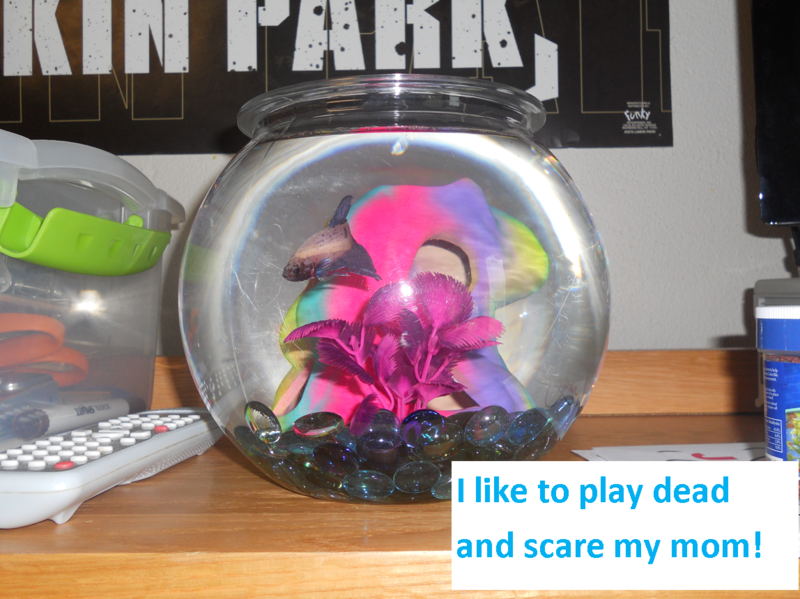 I’m in college and I live in a residence hall, so the only pet I’m allowed to have is a fish. This guy, Sammy, likes to play dead and upset me because he knows I’m attached to him. Posted November 15th, 2012 .